One of my not-set-in-stone New Year’s wishes (I don’t do resolutions too well) is to try and write a minimum of one post between each Monday montage post since that is reflective of making and thinking, rather than just browsing and liking. (Not bad things, but definitely not so fulfilling). Well, but for a final leather strap, I almost made it with a bag I’m just about done with. Couldn’t get that leather in time though. C’est la vie – maybe next week, eh? a) Man, they need to refine the interface. They seem to be treating the Handmade section rather like the normal section, but with even fewer search parameters. I found browsing quite difficult and that is one of normal Amazon’s strengths, in my opinion. But handmade browsing is definitely not the same as normal shopping. Even though I’m complaining, I did notice by chance that they have an Urban Craft Uprising section on the site. I already did a post on some cool stuff I saw there, but here’s one lady I missed at the show. 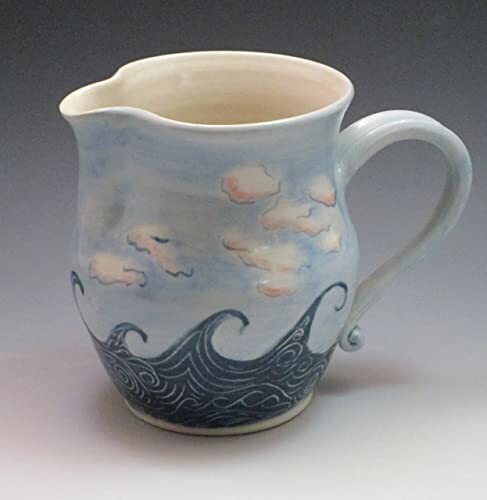 Isn’t this jug gorgeous? It’s just described as a Porcelain Pitcher and the maker is Sarah Bak. She has a number of lovely ceramics for sale and I am a sucker for pottery and ceramics. Argh. 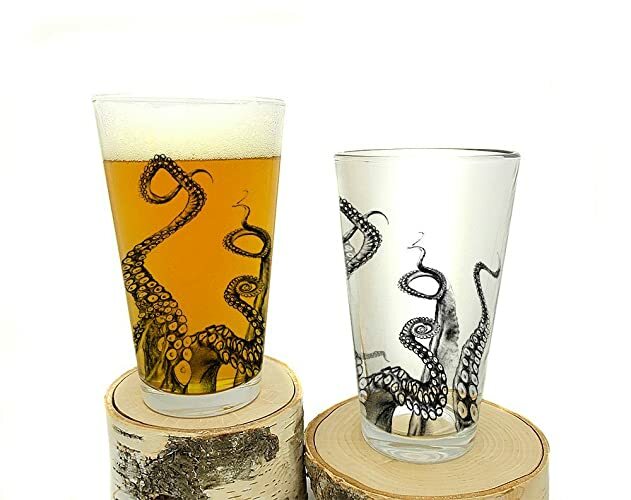 Moving on, I rather like these Octopus Tentacle pint glasses. I think I’ve mentioned before about the difficulty of buying for men (no big revelation there) and these might be a nice gift? 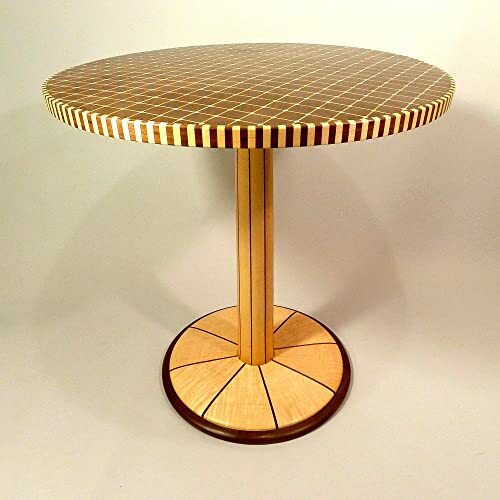 They’re screen-printed in Denver, Colorado by Crawlspace Studios and there are a range of different themes and glass types available, all pretty interesting. Next, a painting that caught my eye. 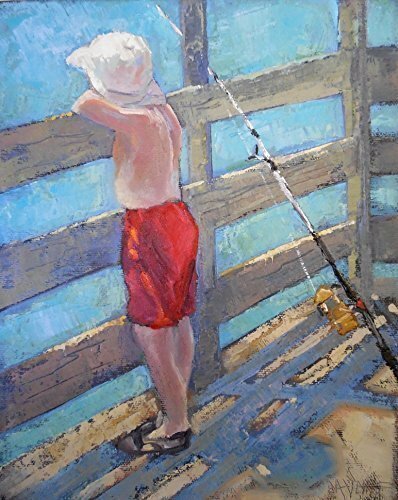 The artist, Carol Schiff Fine Art, has a number of paintings and prints for sale and I like the subject matter of many of them, but this small boy staring wistfully off the side of the pier was the one that made me investigate further. Finally today, a maker from Italy who makes delicate, pretty jewellery. 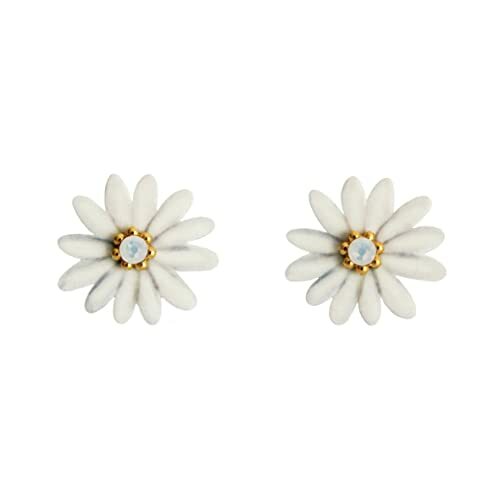 These are Little Daisy earrings from artist LULI Art Bijoux. It’s a shame they’re all on the white Amazon background as I’m sure they would really pop on a different colour, but very nice nonetheless and they look great on the model at the link above. Well, that’s my lot this Monday folks. I wish you all a great week until my next post and thanks for reading! Bye for now!